New Build Lake Homes in Nevada, TX Just 30 minutes from the hustle and bustle of Dallas, the Estates of Lakeshore offers the security and serenity of large homesites in a gated community on Lake Lavon. 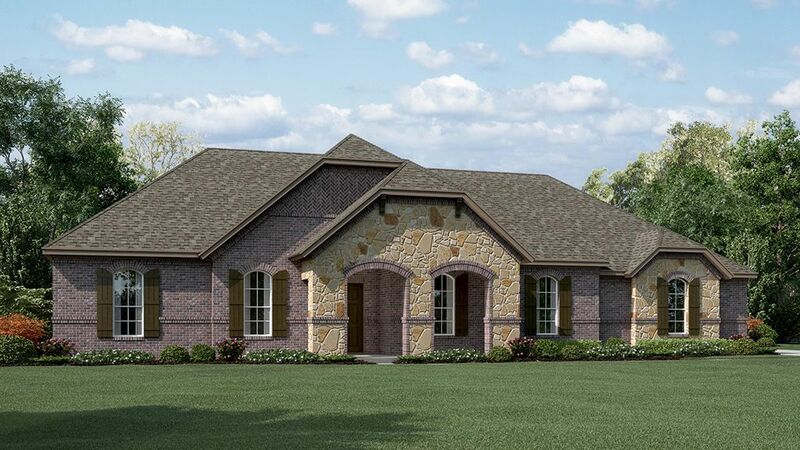 Enter through a stately gatehouse and enjoy the perfect blend of life in a planned community with the rural Americana feel you expect from the beautiful north Texas countryside. New construction Nevada, TX homesare crafted to exacting standards with quality energy-efficient materials by America’s Most Trusted Home Builder. Our award-winning floor plans are spacious and optimized for today’s modern lifestyle and every plan comes with the opportunity to personalize your space. Choose the options and upgrades that matter to you most and add your signature touches with the help of a talented design consultant at Dallas Design Studio. Located just 20 minutes from Plano, TX, your new Lake Lavon homewill be convenient to shopping, dining and entertainment with easy access to Hwy-78 and I-30 for commuting into Dallas.Exceptionally Private Homesites Every new Lake Lavon houseat the Estates of Lakeshore sits on a spacious lot of at least one full acre. Homesites are available with stunning lake views and Nevada, TX homebuyers seeking additional privacy can choose a lot backing onto farmland or lined with mature trees. Oversized homesites add to the quaint impression of this gated pocket community. Unlike larger developments that can feel crowded and overwhelming, residents enjoy a traditional neighborhood ambiance with enough land to feel independent. Collin County, TX Home Builder Offers 9 Striking House Designs Choose from 9 open-concept floor plans including a selection of expansive estate-sized homes. Come home to spectacular curb appeal with striking multi-material exteriors including brick, stone and architectural details.